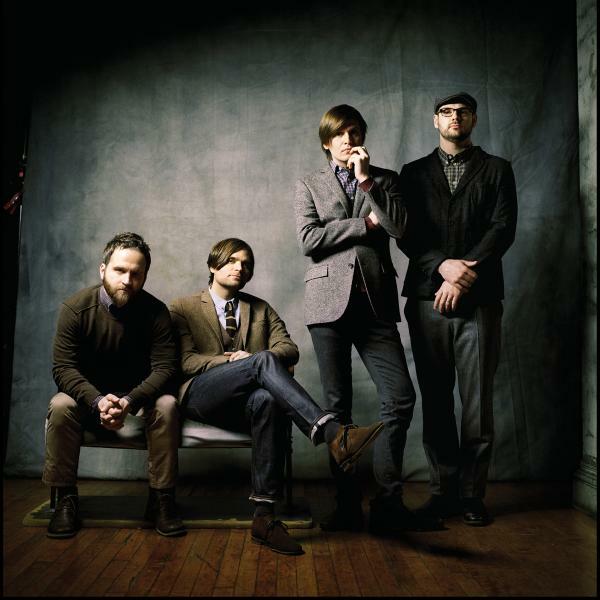 “So this is the new year and I don’t feel any different,” sings Benjamin Gibbard at the beginning of “The New Year,” the song that opens Death Cab For Cutie’s 2003 album Transatlanticism. It was the album where the band’s rising popularity, spurred on by constant mention on the Fox teen soap opera The O.C., aligned perfectly with their peaking skills. Considering that serendipity, it’s no surprise then that Transatlanticism is often mentioned as one of the defining records of the new millennium’s first decade. That ramping up turned out to be a group effort; “The New Year” is the only song on the album that is credited to the entire band, which consisted of Gibbard, guitarist Chris Walla, bassist Nick Harmer, and drummer Jason McGerr. The quartet does an effective job of mimicking a holiday celebration, with Walla’s crashing chords approximating the “explosions off in the distance” to which the lyrics refer. While the band brought the musical heft, the lyrical weight is carried by Gibbard, who brings to the subject natter the same beguiling mixture of inquisitive wonder and melancholy skepticism he levels at marriage and family (“Death Of An Interior Decorator”), stolen romance (“Tiny Vessels”), and glove compartments (“Title And Registration”) elsewhere on the album. As a result, the narrator may be able to witness symbols of the new year’s promise, such as the fireworks, the toasts, and the gathering of friends, but she’s not convinced that such promise will ever be fulfilled. The typical ritual of making a fresh start simply because the calendar insists is not something this girl believes is worthwhile: “So this is the new year and I have no resolutions/It’s self-assigned penance for problems with easy solutions.” She also sees through the façade that the fancy parties perpetrate, even as she urges her friends to participate if only to escape reality for a night. In the final moments, she doesn’t so much make a resolution as she does offer a wish that she could easily travel to far-off places, thereby leaving the doldrums of her current existence behind. “There’d be no distance that could hold us back,” Gibbard sings, before the music ratchets up once again to drown out these pie-in-the-sky hopes. Maybe “The New Year” doesn’t exactly offer a ringing endorsement of the notion that a fresh twelve months somehow wipes the slate clean, but thanks to the Gibbard’s honest lyrics and Death Cab For Cutie’s cathartic music, at the very least it clears the air for a clean look at the old problems.